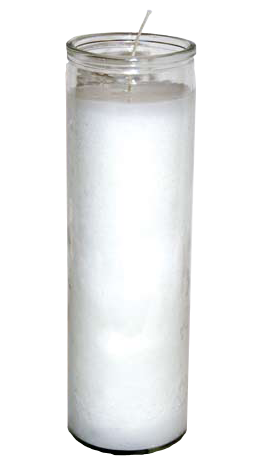 Long burning 7 Day White candle in glass. Measures 2 3/8 inches wide x 8 inches tall and burns for approximately 120 hours. Made of 100% Paraffin Wax with a clean burning cotton wick (no lead).